Everyone needs a really easy, basic vanilla cupcake recipe in their life! 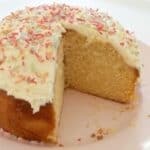 Whether you’re baking a batch of cupcakes for a birthday party, filling up lunch boxes or organising a special morning tea, you need this recipe!! 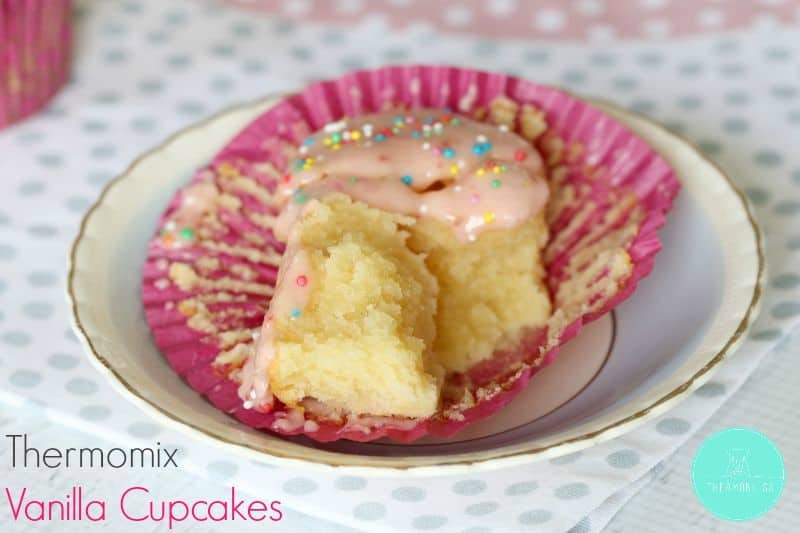 You know how I said these Thermomix vanilla cupcakes were really simple? Well here’s the proof! 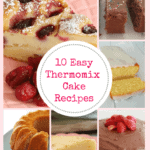 These delicious little things take less than a minute to make in the Thermomix. Yep, seriously!! You just cream the butter and sugar together, add the rest of the ingredients and mix. Easy peasy. 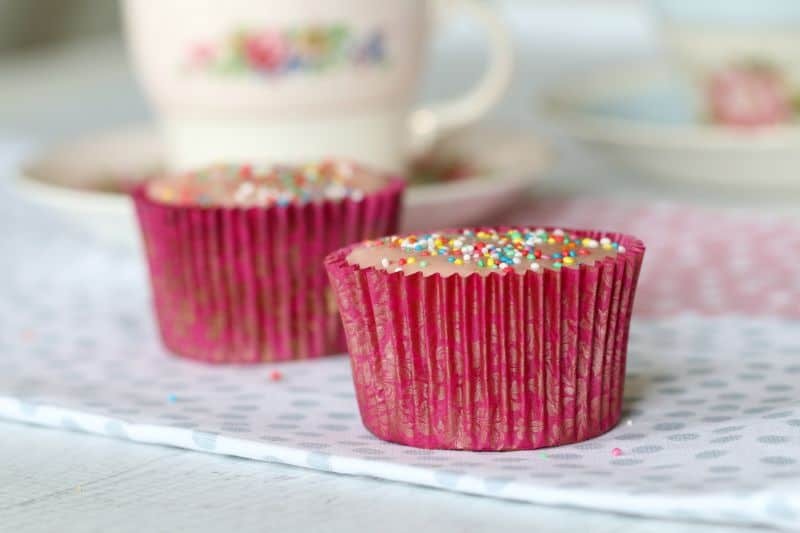 Pop the cupcakes into the oven and in no time at all you’ll have the most delicious little bites. Yum! 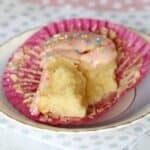 The one and only Thermomix Vanilla Cupcakes recipe you will ever need. This is one of our most popular recipes ever! Preheat oven to 175 degrees celsius. Place sugar and butter into the TM bowl and and mix for 15 seconds, Speed 5. Add the eggs, salt, vanilla extract and self-raising flour and mix for 15 seconds, Speed 5. Scrape down sides of mixing bowl with spatula, then mix for a further 10 seconds, Speed 5. Place the cupcake mixture into the cupcake cases - filling them to 2/3 full. Bake in the oven for 12-15 minutes or until golden and when they spring back when touched in the centre. Leave cupcakes in the baking trays for 5 minutes before moving to a wire rack to cool completely. 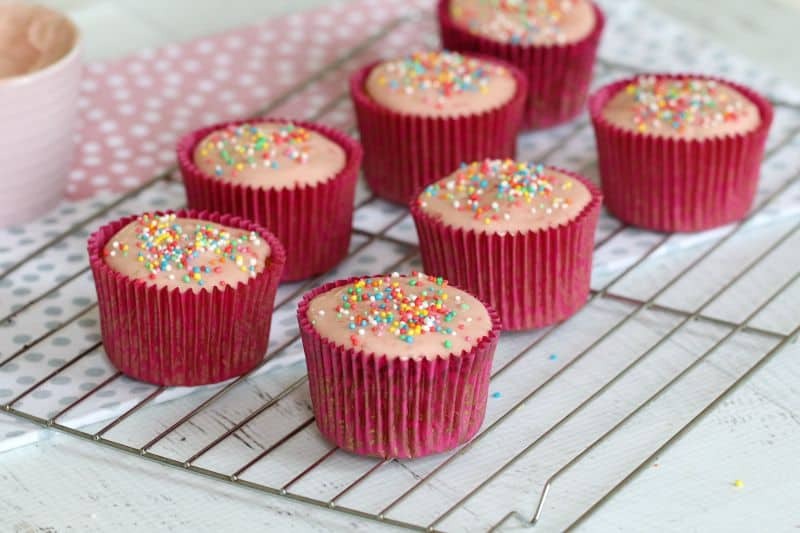 Ice with a basic buttercream frosting or our Thermomix Natural Strawberry Frosting. Spread icing over cooled cupcakes. Thank you so much Belinda! That’s so great to hear! Are these cupcakes ok after being frozen? Absolutely! I usually frost them after they’ve been defrosted. I just made these, and OMG wow!! They are delicious, even without icing. 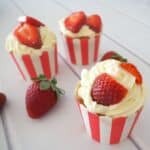 I’m so glad I came across this recipe, no more packet mixes! Would this recipe work as a cake? If so how long would you guess for cooking time? I haven’t personally done that but I think it would be fine! I’d just keep a close eye on it in the oven! Just made as a large gf cake. Perfecto! Thank you for completing my lunch boxes this morning in 15mins flat! There is no liquid such as milk in the recipe. I’ve never made a cake batter with no liquid. Just want to check before I make them. 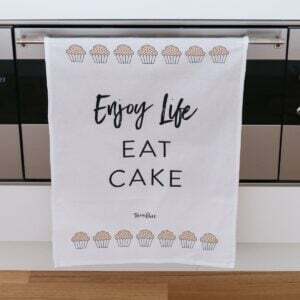 Hi there, yes it’s correct – the butter and eggs will give the cupcakes their most taste! Oh my goodness- these were fabulous! You can definitely freeze them! Yay!!! I’m so happy to hear this!!! Holy crap… had a bit of an oopsie moment… ended up with GIANT cupcakes ???? they look completely delicious though! I just have to cup the tops off now before I ice them ? Hehehehe there’s nothing wrong with a MASSIVE cupcake!! 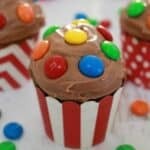 Delicous cupcakes! Hubby usually isn’t a fan but found these were fantastic and not too sweet for him. Will definitely use this recipe in future, thank you! Yay! We’re so happy to hear that! 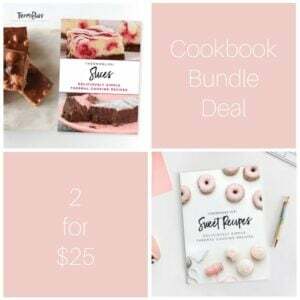 Love this recipe, it works beautifully! Gorgeous taste! I do get air bubbles at times; any hints on what I may be doing wrong? Also, how do I achieve a flat top; they sometimes dome! I’m trying to get the perfect cup! Many thanks for the recipe. Going to try it today. The link for the strawberry frosting not working. Is it possible to get it please. I am a terrible baker and while these didn’t turn out pretty (typical of my skills) they were extremely delicious and everyone at my sons birthday agreed. That’s great to know! Thank you!